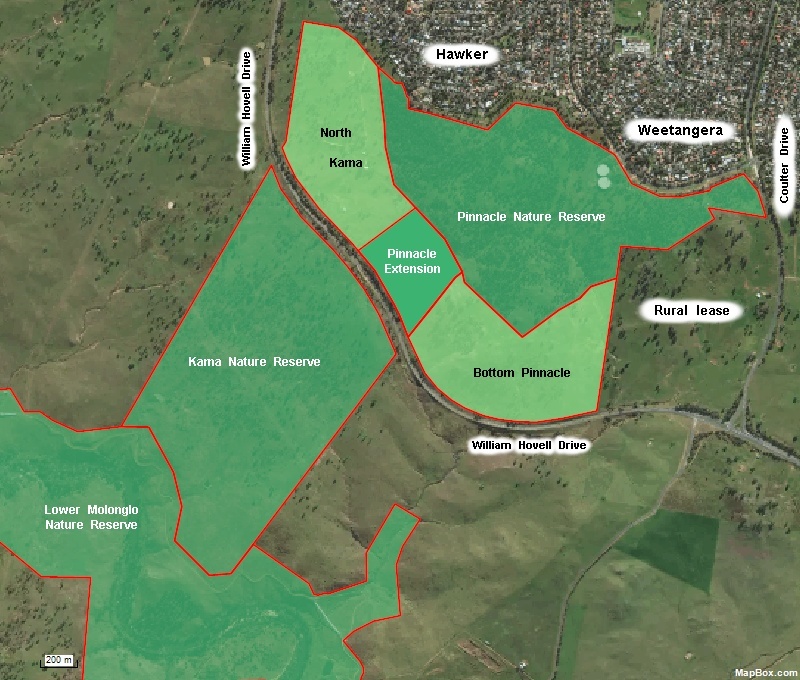 The map below shows the location of The Pinnacle Nature Reserve in relation to the Kama and Lower Molonglo Nature Reserves. It shows the increased connectivity resulting from the 2016 Pinnacle Extension. Further increaseing the area of the extension to the northwest so that it overlaps with the underpass under William Hovell Drive would improve the connectivity further.